As someone who has taught remedial Reading at a local community college, I have seen the effects of young adults who have grown up without the necessary tools needed to be successful readers. And as a parent and reading lover myself, I know how important it is to promote healthy reading habits and that in doing so, children who love to read become adults who love to read and benefit from so many good effects that reading has brought to them. Some parents may find that as they watch their little ones progress developmentally, they might need a bit of help when it comes to the approach of literacy. Enter Nemours BrightStart! 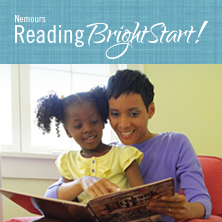 Nemours BrightStart!’s mission is to promote reading success and prevent reading failure for all children, focusing on birth to age 8. Through innovative programs, research, advocacy and partnerships, we design and implement unique and highly effective tools and training that consistently yield life-changing results. I was offered the opportunity to participate in a webinar presentation for BrightStarts! Since I am a lifelong reader and want my children to mirror that trait, I jumped at the chance. I was also compensated for participating, but that was just icing on the cake. With so many children turning to video games and TV for entertainment, it worries me that parents might forget how pivotal literacy is and that children need to start looking at books from birth and reading should be an activity that parents should share with their children and help them on their journey to becoming good readers on their own. BrightStarts! website is a great tool for parents (and educators) who would like additional assistance in what works for what age, what to look for when helping their child learn to read, what risk factors to look for, as well as many other helpful expert tips. There is also an invaluable FREE READING SCREENER for children aged 3-5. Also on their website are recommended reading lists based on age as well as helpful articles for parents, at-home activities and more. Nemours Foundation realized the important link between children's health and reading and in 2005, they funded the Nemours BrightStarts! program. Since then, the program has been used in over 1100 classrooms, 20 states and its tools have served over 70,000 children. If you have young children, work with young children or would like to become a literacy advocate, please take a look at their website and the information on it. 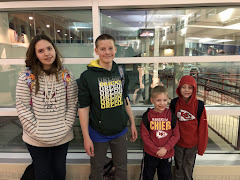 There are ways to connect with questions, but the website offers so much invaluable information, there are plenty of starting points to help children build a lifetime of success through knowledge and love of reading. 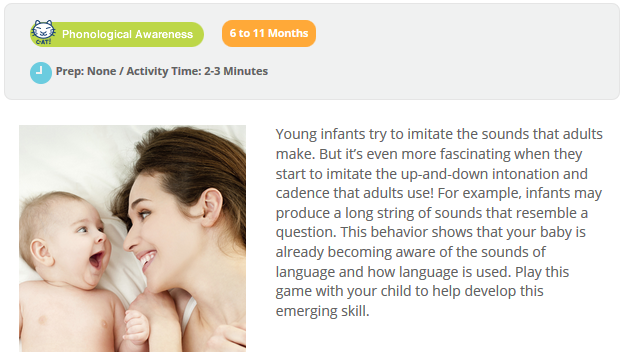 Try "ba-ba-ba-ba-ba" or other one syllable sounds that are simple for your baby to mimick. To my sons in the future... a revenge letter.